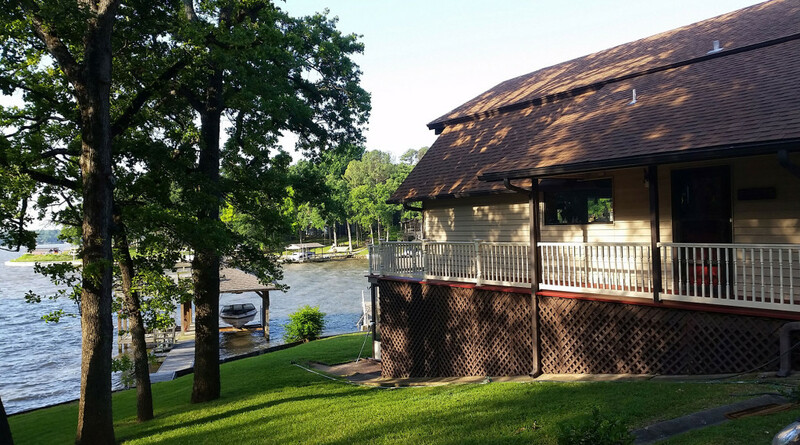 Our home is positioned right at the water’s edge so you can hear the waves from the lake lapping the shore while enjoying the outdoor deck. In the mornings we love to open the windows and doors to let the cool breezes flow through the house and listen to the waves. The birds and turtles like our little shore and frequently come by for a visit. We have a family of ducks that regularly come ashore to enjoy the view from our property too. We are located one hour from downtown Dallas on the west side of Cedar Creek Lake, centrally located to Gun Barrel City, Canton and Seven Points. You can’t get closer to Dallas than Arnold Hills if you want to be on the main body of the lake. If you are coming from further away, we have compiled a table showing you the distance from a few different locations, since we often get this question. A native Texas girl, Christina loves to travel. She have been living abroad in Central America for two years, and speak fluent Spanish, as well as Italian. Karl is originally from Sweden and have traveled all over the world, but has now settled in Texas. Karl speaks English, Swedish and German as well as several computer laguages.